Have you found an online vendor selling Black Magic Black Spiced? Very sweet with strong caramel and what I guess could best be described as a very sweet vanilla. Maybe a hint of what reminded me of chocolate candied cherry. In the mouth, comes on very sweet, very thick and syrupy, and surprisingly very smooth. The spiciness kicks in with some oak on the finish, but still pretty smooth. To me though, it seems the smoothness comes only as the result of sugar. I tried looking this up on the added sugars list but it isn't on there. I'm guessing based on the sweetness there is a lot of sugar added to this rum. While smooth, unless you are into sipping maple syrup, this rum is too sweet to enjoy except as a mixer. At that it does a pretty decent job. In Coke with a splash of lime juice it did very well. But I'd buy Kraken over this. Had a rum tasting on a sunny afternoon, because why not. 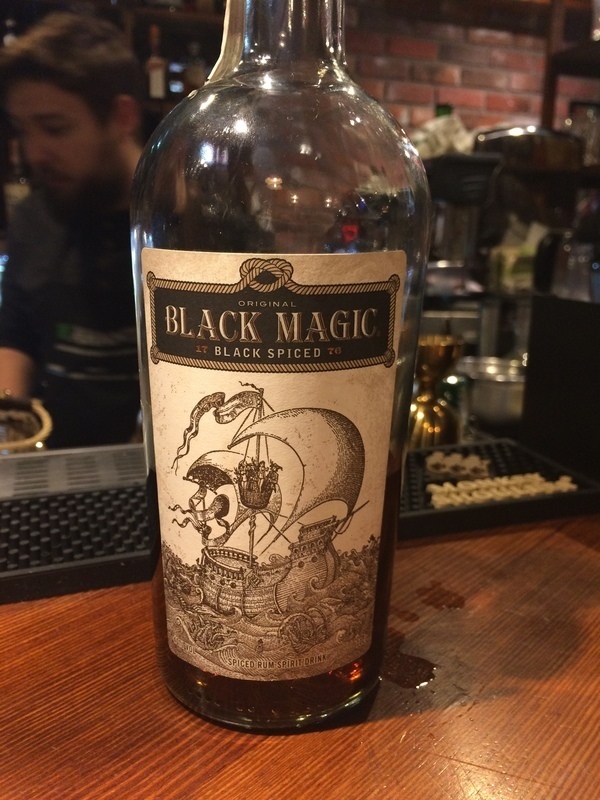 Black Magic Black Spiced Rum bottle and label design looks very quirky in a positive way. Quite dark brown color from artificial flavoring. Strong alcohol, caramel, vanilla and a plethora of artificial flavors to the nose and palate. Strong burn at the end. Barely mixable. Similar to Kraken but smoother finish one of my favorites! Love it neat! Edges to a 9 due to the price point. I have a sweet tooth so love the caramel taste with vanilla that is evident and I find easy to drink neat which I can't say for Kraken. If you don't have a sweet tooth then Kraken would be more your taste. Like a mix between Kraken and Rebellion. Nice very sweet flavour, well spiced with a warming aftertaste. Tried it neat. 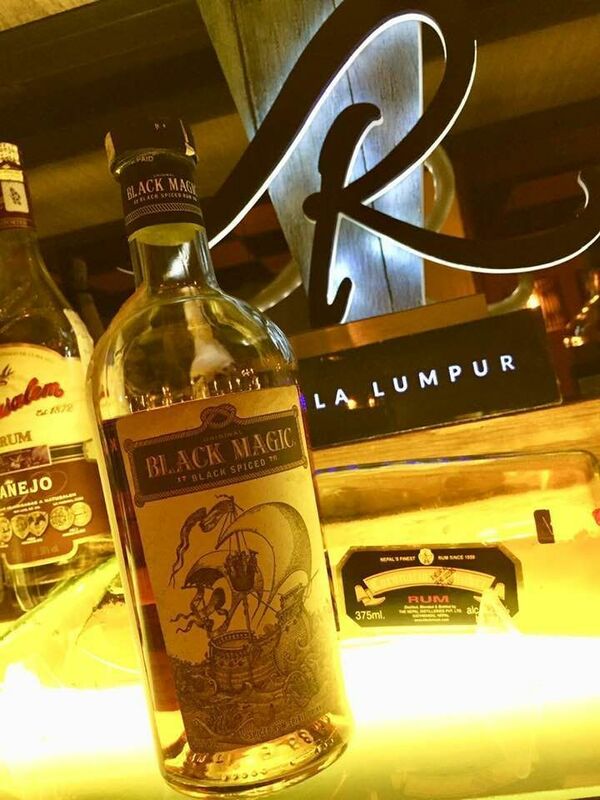 Chocolate, caramel,vanilla and cinnamon are the dominant notes of this rum. Fairly sweet but super smooth. Decent for the price, it is a better sipper than the Kraken rum but a worse mixer. Color and label are good. Open that bottle up.....whoa! Get ready for heartburn and rotgut. Know that nothing you could mix with this will make it better. NOTHING! If you do drink it, get ready for the weirdest nightmares. Oh, and not even a hint of caramel or rum smell. This rum is a great addition to the collection. It starts off sweet, middle is a oak taste and then ends with a rich finish of spices that will leave your taste buds tingling. If you like to try something different than the norm than I would suggest grabbing a bottle of black magic for your collection. Doux et des notes prononcées de bonbon caramélisé avec un peu de vanille. Plaisant au palet mais on s’éloigne de la cane à sucre. A blast of HEFTY caramel sweetness on the tip of the tongue. Washes to a toffee finish. Notes of caramel on all levels. No other real way to describe it. Very unique. Quite interesting. Side by side with kraken it’s tough to tell the difference, except this one is not as bad. Drinkable if you had to, in a mix it might be ok. Poured neat, it has a nice aroma of chocolate and caramel with a slight tickle of the nose that hints of the 94 proof. The first taste gives you that caramel, with maybe a bit of toffee, but also the oaky spiciness. It does leave behind a bit of oily sweetness, however, that would knock it out of a sipping category. Makes a decent rum and coke, or maybe even a pina colada. Interestinh arwork on bottle similar to kraken in a lot of ways just falls short of the mark. I was surprised to see that some of the reviews of this aren't overly complimentary. It's very sweet, which I suppose might put people off, but it's also incredibly easy to knock back. First rum I bought that wasn't some random carriage for mixing. Really smooth and silky dark rum. I did drink it neat. If mixed with coke it got way too sweet in my opinion. Still not sure what to think of this one. It's not bad with a coke and is almost like kraken, but just not the same. Kraken is also not top of the line spiced rum but compared to this one I think I enjoy kraken just a bit more. 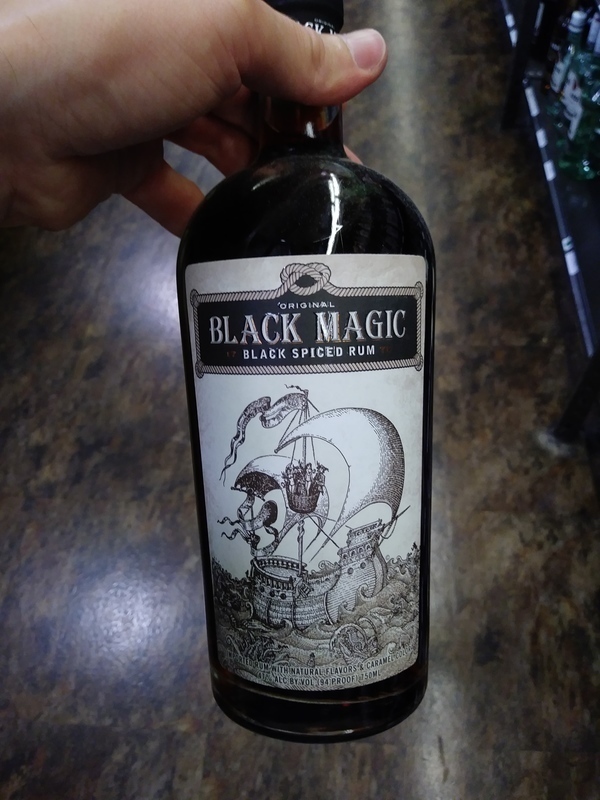 Black Magic is not bad but for a spiced rum but it seems to be missing something that makes it stand out of other black spiced rum's. Dit is bijna net zo erg als de Schotse rum. Ok Black rum but I think the Kraken has just a bit more to offer. Smooth, sweet and soothing a bit classier than kraken, much cheaper which is a bonus. Love the cola finish and sweetness is just about right especially on a long warm summer evening.